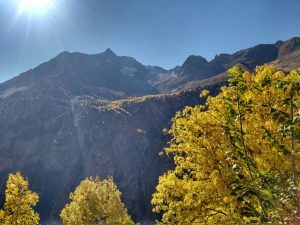 Here in the French Alps, we are enjoying a seemingly endless summer. It is almost November and the sunny, cloudless days show no sign of coming to an end. What does this mean for the winter ahead? Firstly, I would say, “don’t panic”. The conditions in October and early November are not generally a good indicator of conditions for the winter. Locals will say that if it snows too early it stops the ground from getting cold, so the snow will not last as well. Locals will also look at the berries on the trees. If the rowan trees are fruiting more than usual it is a sign of a good winter to come. There may or may not be any truth to these theories. However, having spent seventeen winters in various ski resorts I can talk a little about my own experiences. I can remember good winters and bad ones. There were those that were great from start to finish, those that started badly before it snowed like crazy to make up for it, and those that started well and petered out early. I cannot remember a single winter that has been bad from start to finish – every one of them had a spell with great snow and memorable days. Whenever the snow is poor, people start to mutter about closing the resort early, running out of water for the snow cannons and so on. Even if the weather is sunny for more than a few days, somebody will always be asking when it will snow again. Personally, I like sunshine and stable conditions as long as there is enough snow underfoot. We cannot change the weather, but we can go out and make the most of what we have. The last couple of years we have had big dumps of snow across the Alps in November. Everybody got excited. Bookings went up and some resorts opened early for weekends. Both years, most of the new snow had gone by Christmas and little to none had fallen to replace it. A few years before that, in 2011, I was training for my Eurotest (the famous ‘speed test’). 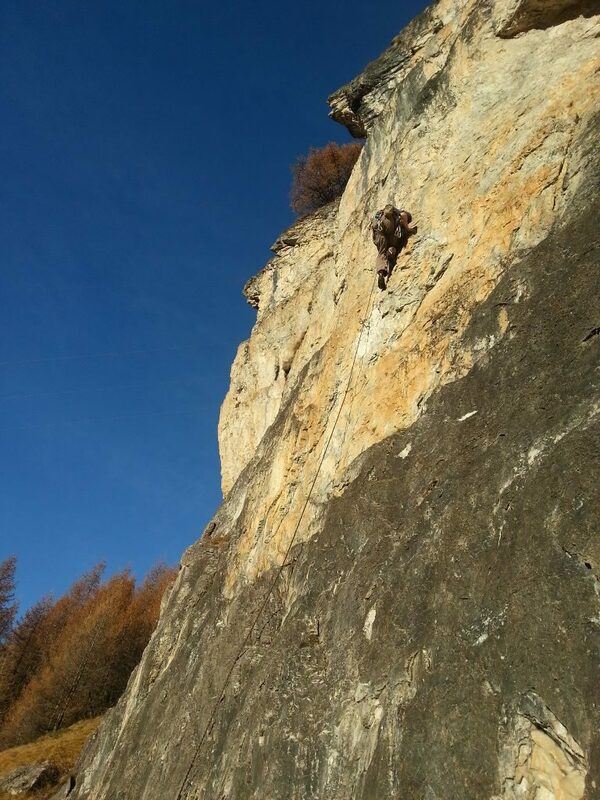 In early November I was rock climbing in Flaine in a T-shirt on a weekend away from training. 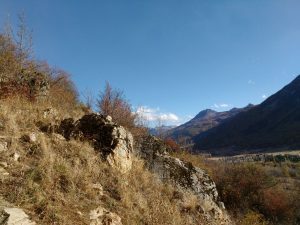 Sunny weather prevailed until mid-December and French TV news was reporting on the lack of snow. 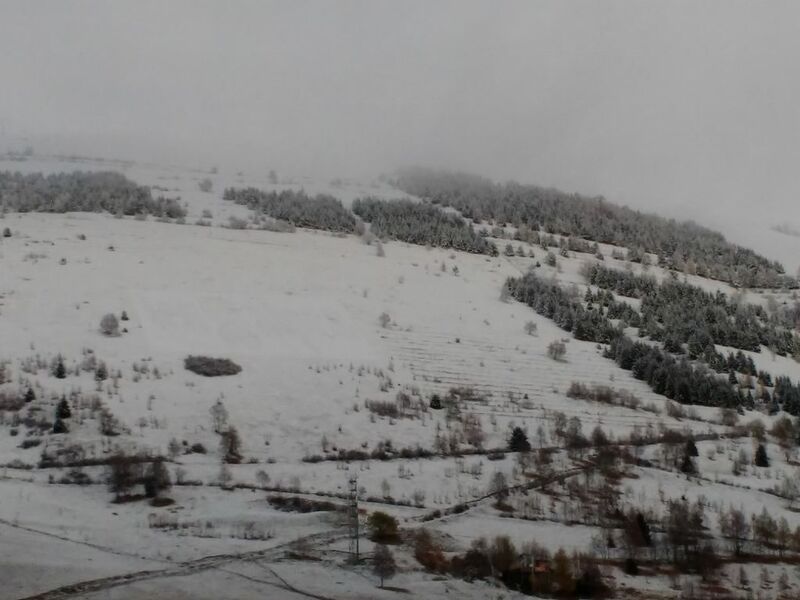 The first Eurotest of the season in Alpe d’Huez was cancelled due to a lack of snow and resorts were getting worried about being ready for Christmas. A week later I travelled to St. Anton for the second test of the winter. The organisers cancelled this one due to a meter of fresh snow falling and I had an epic powder day on my GS skis. 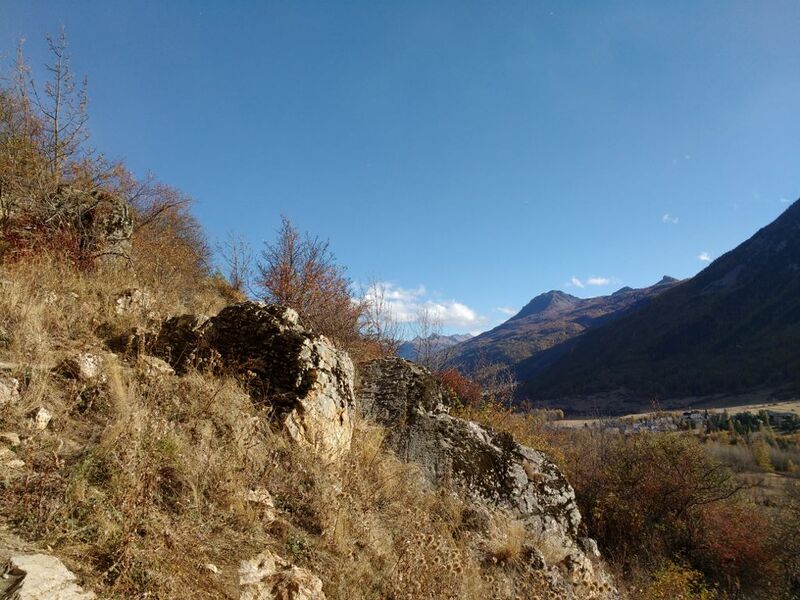 A year later, I have more photographs of sunny rock climbing late in November near Tignes. There is little evidence of snow. That year the Alpe d’Huez Eurotest ran and I managed to pass it. After some big celebrations, I spent the rest of the season enjoying the best snow I have seen so far in Les Deux Alpes. There were so many great days, and I skied routes I have not repeated since. 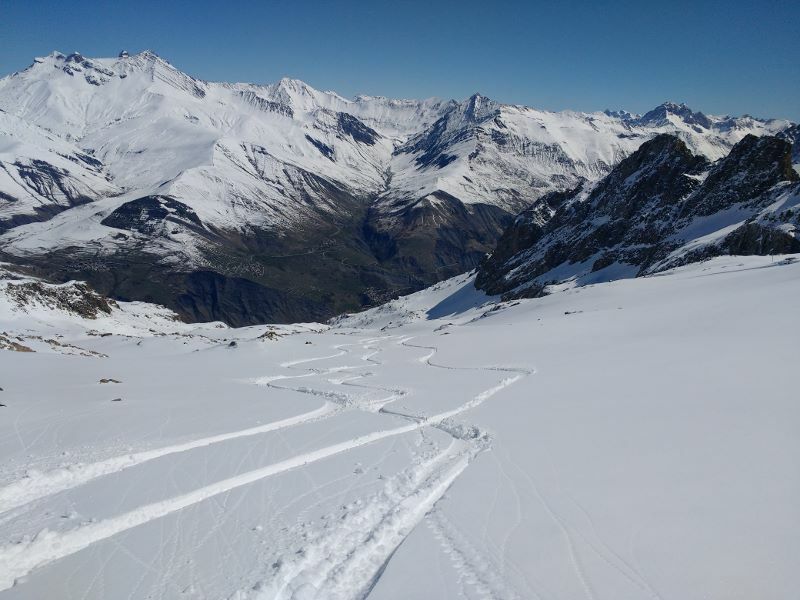 I have skied plenty of other great off-piste routes in and around Les Deux Alpes though. So, while the sun shines and autumn brings us balmy temperatures, I for one am not complaining. I am going to keep enjoying the beautiful colours of the Alpine fall, and winter will come when it is ready. When winter does come, it might be epic or it might be mediocre, but I know I am going to have some great days skiing either way. Having just written all of the above, it has started to snow. The mountainside opposite has turned white and the forecast is for cold snowy weather all week. Given what I have written above, I should not get too excited. But there is always something magical about seeing the snow fall outside the window.